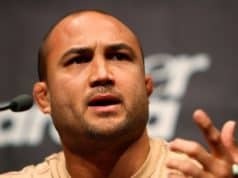 When choosing the top 15 MMA fighters of all-time, you could easily get lost in picking from just the latest crop of martial arts talent, but it’s all relative; the fighters of old were the best with the tools they were given, as are the modern day MMA athletes, it’s almost like trying to compare soldiers that fought with swords and spears with a man behind the sight of a rifle. In an attempt to merge the old with the new, the list compiled has focused mainly on major MMA champions, long winning streaks and also finishing rates. Caliber of opponent must also play a factor, but there also needs to be a consideration for entertainment and also influence on the sport to a certain degree, as well as a fair pinch of personal opinion. Owner of the biggest win streak during Pride FC’s storied history, Wanderlei Silva earned the nickname ‘The Axe Murderer’ for his vicious Muay Thai interpretation of mixed martial arts. 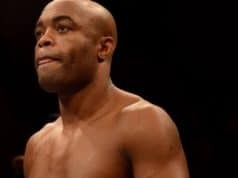 One of the most renowned knockout artists in the game, Silva’s highlights are some of the most brutal on show today. 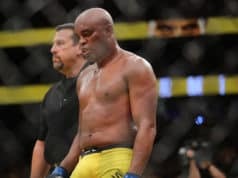 He’d have easily made the top 10 of the list had he won a UFC title during his 17-year career, but he suffered a myriad of nasty UFC losses and never reached the heights of his glory days in Japan. Top victories include Brian Stann by TKO, Cung Le by TKO, Michael Bisping by Dec, Kazuyuki Fujita by TKO, Quinton Jackson x 2 by TKO & KO, Kazushi Sakuraba x 3 by KO & TKO x 2, Dan Henderson by Dec, Guy Mezger by KO, Mike Van Arsdale by KO, Ricardo Arona by Dec and many more. Check out Wandy’s greatest hits, and continue through the list of the Top 15 MMA Fighters Of All Time…..